Posted on 24 November 2016. PATRIOTIC Front losing candidate in the Mushindamo council chairman by-election Peter Kapamba says he will petition the election results. 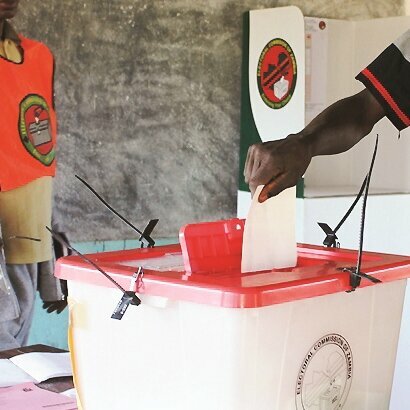 On Friday, the Electoral Commission of Zambia (ECZ) declared Mr Kapamba as duly elected council chairman for Mushindamo district but reversed the results 48 hours later and declared his UPND opponent the winner. In a press release on Tuesday, ECZ public relations manager Chris Akufuna indicated that an error was made by declaring Mr Kapamba council chairperson. 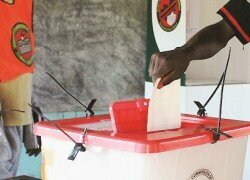 Mr Akufuna said after verification of the results for Sobonto polling station, which is one of the polling stations in the district, the commission established that there was a mistake in the tabulation of the results at the polling station. “The commission has declared Mr Lackson Mulumbi of the United Party for National Development (UPND) as duly elected council chairman. Consequently, the declaration of Mr Peter Kapamba is hereby cancelled,” said Mr Akufuna in the statement. But Mr Kapamba said that he was going to pursue the matter through the courts of law by petitioning the by-election results. “We are going to court because as far as I am concerned, I was duly elected council chairman. But I am wondering why there is this turn of events,” he said. He also said according to PF sources, one of the ECZ officials ‘‘ran away’’ with some ballot boxes to Lusaka without the consent of other ECZ officials, the Zambia Police, the PF and other electoral stakeholders which he said was a clear indication that some ECZ officials were compromised.